I thought I would share with you what I gave Nate for Valentine's day. For anybody that knows Nate knows that he loves me a lot, but his first love is math. His new office didn't really reflect this at all (besides being in a math department) so I made this for him and told him it was a gift from his one true love. I found some cute math sayings, gave them colorful backgrounds, printed them out and framed them. This will hopefully cheer up his office a bit. 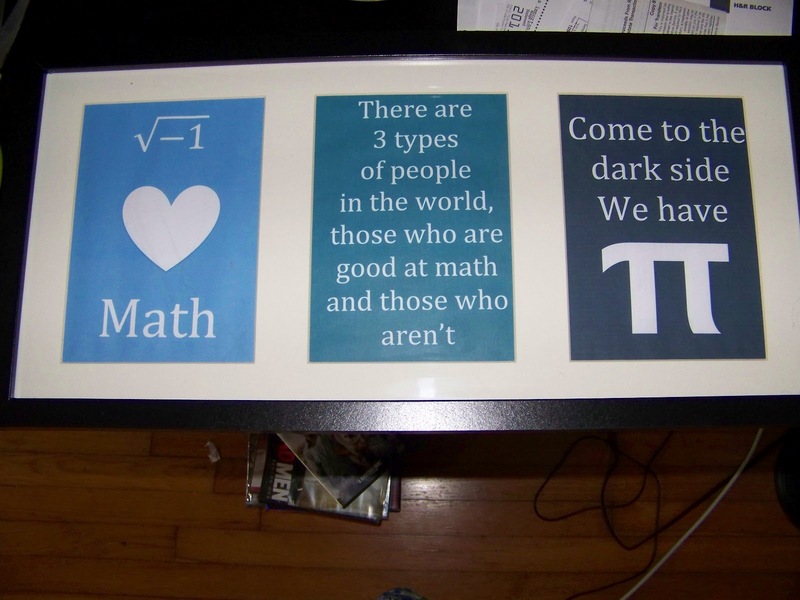 If you aren't super math inclined, the first one says "I love Math" (Nate use to introduce himself as "Hi, I'm Nate. I love Math"). 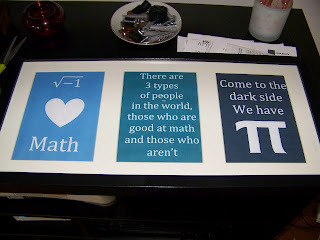 The second one says "There are 3 types of people in the world, those who are good at math and those who aren't" (I'll let you decide which one you are). The last one says "Come to the dark side. We have pie". New Linky and GFC follower! hope you follow back! Hi, I found you via linky blog hop and am glad that I did. I now follow you and would love for you to follow me at Hibiscus House.